The 2011-12 Pittsburgh Schweitzer Fellows. 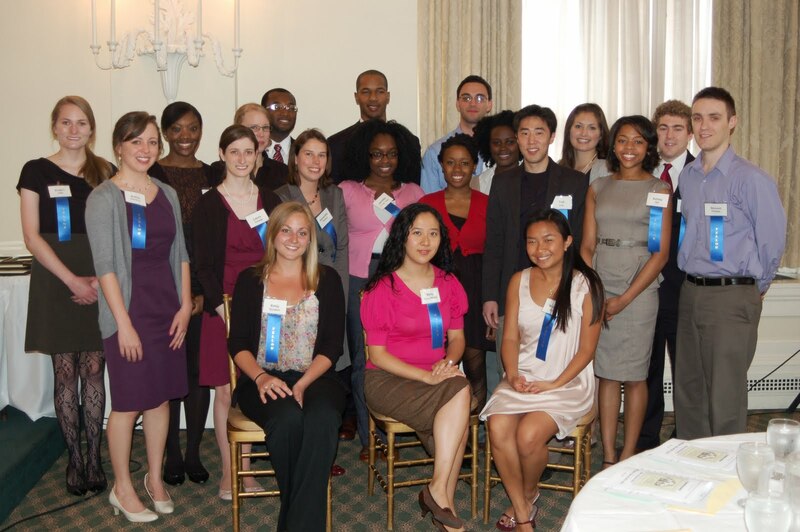 The Albert Schweitzer Fellowship (ASF) is thrilled to announce the selection of the 2011-12 class of Pittsburgh Schweitzer Fellows—22 graduate students who will spend the next year addressing health disparities throughout Pittsburgh while developing lifelong leadership skills. Joining approximately 240 other 2011-12 Schweitzer Fellows at 13 program sites throughout the U.S., the newly selected Pittsburgh Schweitzer Fellows will partner with community-based organizations to develop and implement yearlong, mentored service projects that sustainably address the social determinants of health—all on top of their regular graduate school responsibilities. Thanks to a new Environmental Fellows Initiative sponsored by The Heinz Endowments, six of the 22 newly-selected Pittsburgh Fellows will work to enlighten, educate, empower, and mobilize residents of environmentally at-risk communities in Southwestern Pennsylvania. The Endowments supports efforts to make southwestern Pennsylvania a premier place to live and work, a center for learning and educational excellence, and a region that embraces diversity and inclusion. More information on the Endowments-sponsored Environmental Fellows Initiative is available here. Upon completion of their initial year, the 2011-12 Pittsburgh Schweitzer Fellows will become Schweitzer Fellows for Life—and join a vibrant network of over 2,000 Schweitzer alumni who are skilled in, and committed to, addressing the health needs of underserved people throughout their careers as professionals. 99 percent of Fellows for Life say that their ASF experience is integral to sustaining their commitment to serve the underserved. Since the Pittsburgh Schweitzer Fellows Program’s founding in 1997, its Schweitzer Fellows have delivered more than 45,000 hours of direct service to vulnerable community members. A listing of the 2011-12 Pittsburgh Schweitzer Fellows, their schools, and their Schweitzer service projects follows. More information is available at www.schweitzerfellowship.org/pittsburgh. To download a PDF version of this announcement that includes a listing of Fellows, their schools, and their projects, click here: New_Class_of_Pittsburgh_Schweitzer_Fellows_Announced.